For high impact, versatile bedding, add our Jet Stream Summer Lace Textured Quilt to your room decor. Great style begins with your bedding and here at Byourbed we believe you don't have to give up comfort for looks! 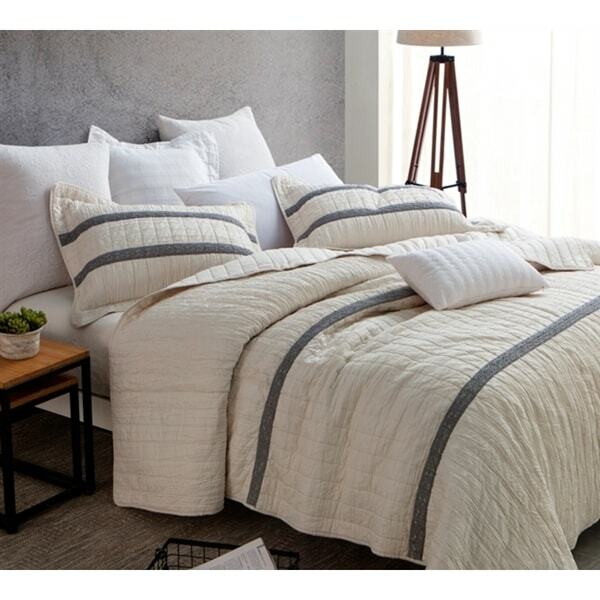 Our machine washable Jet Stream Summer Lace Textured Quilt will instantly give your bedroom a fun new feel, and will feel great as you snuggle up at night with this microfiber quilt's soft and cozy touch. Our Twin XL Jet Stream Summer Lace Textured Quilt comes with 1 matching sham and sizes Full, Queen and King include 2 matching shams. This BYB Quilt is comfortably soft to the touch and constructed of defined 230 GSM and has an inner fill of 70% Cotton and 30% Microfiber.